And here is also a recap what we did last year since we didn't update any works here. They are our top nine photos from Instagram. Anyway, one of our resolution for 2018 is to allocate some time to write and update this blog more frequently. Wish us all the best, okay? Last but not least, today also remarks Diyadeary's ninth anniversary. Weehoo.. We are excited for this year of opportunities and growth that awaits us. We appreciate your continued support and look forward to growing as one in 2018. 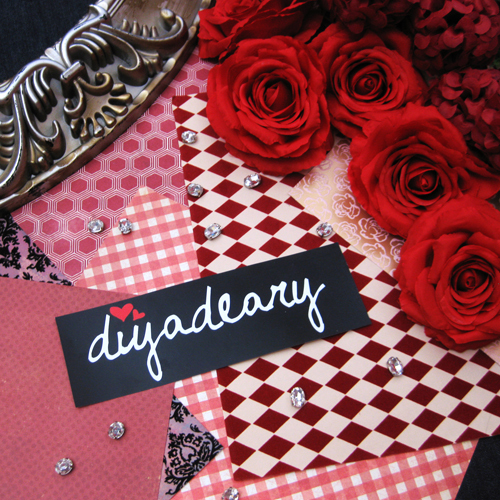 And yes to many more pretty things and adventures for Diyadeary! Thank you, again, for your support and we are signing off... for now. 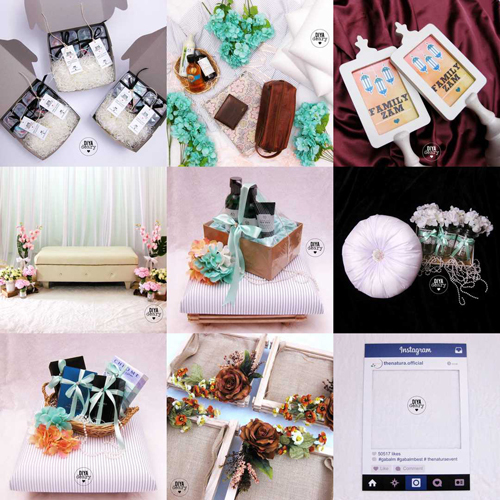 We are having our first giveaway on Instagram. Just click on the photo below and the steps are available in the caption. February is always special for us. 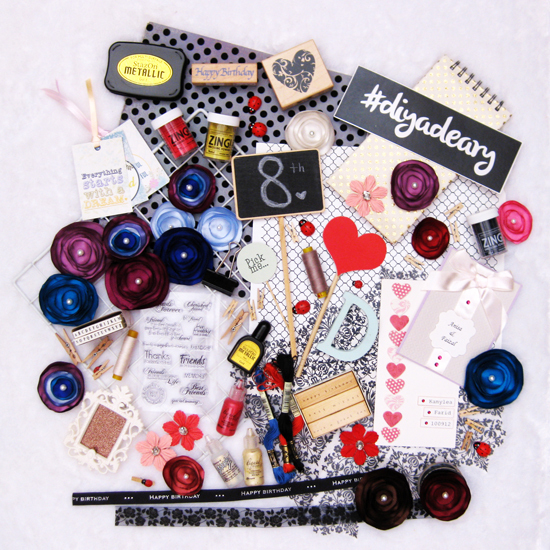 It's the birthday month for Diyadeary and this year, we celebrate the lucky eighth anniversary. Alhamdulillah. Well, it's not an easy journey. There are ups and downs, sweet and bitter moments. But in the end of the day, it's all worth it because we do things that we love and particularly brings us joy. We are learning everyday for a better diyadeary. We thank you for your support thus far and we look forward to that continued support in the future as well. The year of 2016 was bittersweet. It was rough yet exciting. The price increase of everything and slow economy definitely sway the business. But on the great part, we received couple of orders and collaboration offers from big name parties. Alhamdulillah... We really grateful for all the opportunities! InsyaAllah, it's about to get better in 2017. 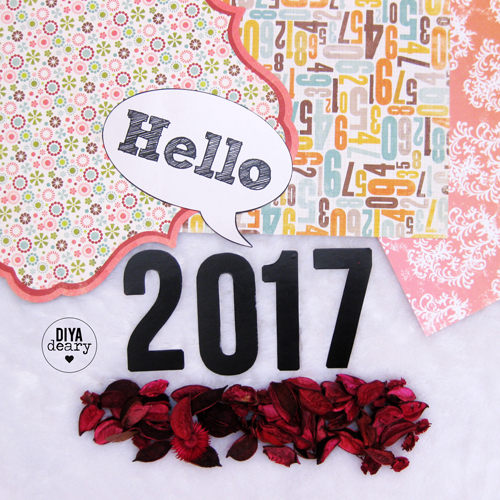 We are so thrilled to start 2017 with you and are looking forward to serve your orders. We also have few things brewing in our hands, hopefully we get to tell you soon! Pray that everything will go smoothly and easily. Since we don't know when will be the next blog post, please bear with us! In the meantime, please follow us on Facebook and Instagram. We definitely update them more frequently than this blog. Last but not least, here's to an amazing new year, InsyaAllah! May Allah SWT bless us with lots of love, light and guidance. It has been a long time we did not do any crazy deal. So this is for you, 100 for 100. The normal price for 100 pieces of these brooches is RM180. This offer is only for a limited time, from 21 April 2016 until 29 April 2016.